Envision Healthcare shareholders are less than pleased with the $21.7 million in compensation that CEO Chris Holden pulled in 2016. They aired their displeasure at last week's Envision annual shareholder meeting by nearly defeating an advisory "Say on Pay" proxy proposal on executive compensation. Envision shareholders approved the Say on Pay by a narrow 52% to 48% margin. The vast majority of investor-owned companies have their Say on Pay approved by a wide margin, with three in four achieving better than 90% approval of the ballots cast, said Mike Halloran, a senior partner specializing in executive compensation in the Dallas office of Mercer. Institutional Shareholder Services, which advises on shareholder issues, said that Holden's 2016 compensation, notably a $19 million restricted stock award, was not sufficiently tied to company performance to merit Say on Pay approval. That award was largely responsible for Holden's total compensation last year tripling from $7.2 million in 2015. 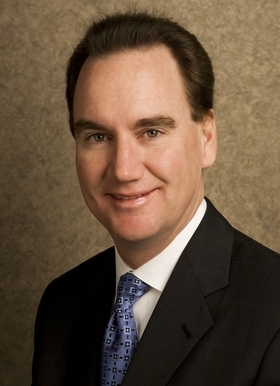 Holden was CEO of AmSurg until the company merged with Envision Healthcare to create the nation's largest physician-staffing provider to hospitals. He now leads the combined Envision, a company with annual revenue of $8.5 billion. Envision Vice President of Investor Relations Bob Kneeley said Holden earned the restricted stock award because of work done at AmSurg. When the company was combined, its new board of directors set a whole new pay structure, he said. On that premise, a second institutional investment service, Glass Lewis, recommended a yes vote on Say on Pay at the Envision shareholder meeting, Kneeley said. According to Envision's proxy statement, Holden received the restricted stock as a one-time award for getting the then-AmSurg into the physician-service business through the 2014 acquisition of Sheridan Healthcare, which then was largely an ambulatory surgery center operator. Sheridan's successful integration created $1.5 billion of shareholder value in company stock appreciation and other measures between May 2014 and year-end 2015, the proxy said.